Discussion in 'Patient Forum' started by idiotech, Mar 3, 2015. I have had a sore throat on the right side (Dry and sore when I swallow and open my mouth wide.) and swollen node under my jaw on the right side of my head for 7-8 months. I have been to a number of doctors and ended up at the dentist. Had a root canal on the 3rd Molar which was a mess. However, the problems with my throat and node have not resolved. The dentist is adamant that it is caused by my wisdom tooth near the molar that was root canalled. 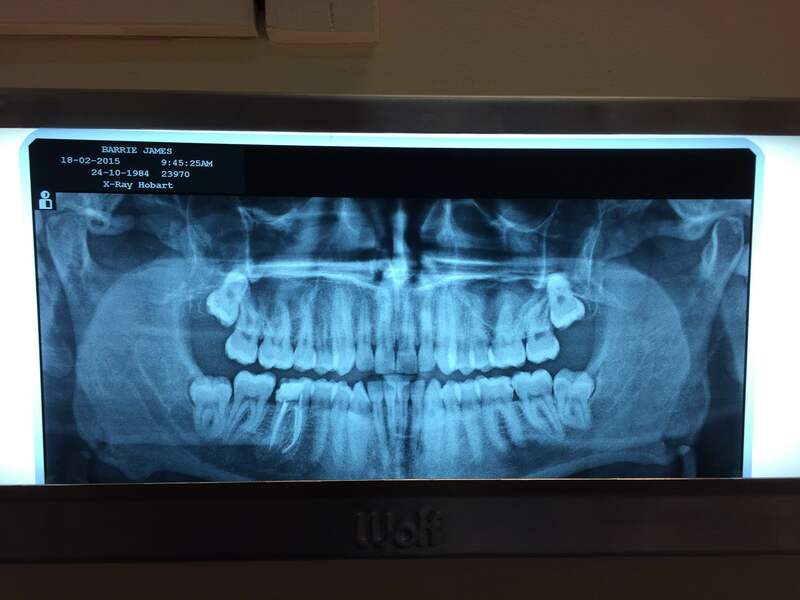 He thinks that there is evidence of bone loss/infection next to the wisdom tooth in the xray. I really need a second opinion on this as I see no sign of infection, bone loss or decay in that tooth and while it is impacted it has been that way for 10 years and caused me no issues. Before I spend thousands of dollars that I really can't afford on a potentially pointless surgery that wont fix my problem I would really appreciate it if someone could verify what he is saying. Also if you see any other problems that might be causing my symptoms please point them out. Please see the link for the Xray. The problem area is on the left side of the xray (right side of my head). Edit: 1st Molar has the root canal, Not the 3rd.